Italy’s contribution to the First World War is the topic of Mark Thompson’s book The White War. Italy entered the war in 1915, after vacillating. 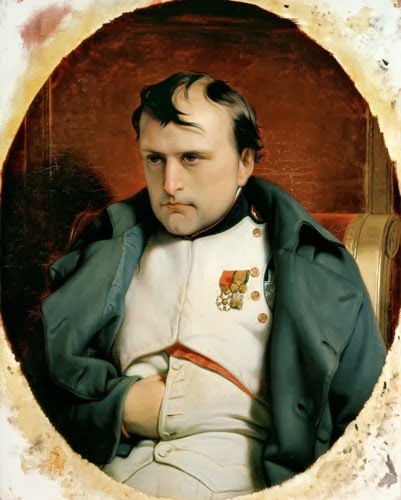 The king and his advisers wanted to enter on the side that would give them the greatest territorial advantage following the war. These cynical calculations appeared to have stained nearly all of Italy’s subsequent actions in the war, which Thompson details this exhaustively. The book is well-written, clear, informative, and like most books on the First World War, shows the great price in human lives of the so-called Great War. “Yes, and from the vineyard it’s on to Dizengoff Center, or the whole of Tel Aviv or King David’s throne.” Hillel Yayin laughed with his eyes, while his lips remained still. His dark pupils ringed with blue peered over his thick black beard, like an animal gazing from the safety of a shrub. “You boys from the Jewish Agency,” Hillel Yayin shook his head in mock disappointment, like a father teasing a son. “You think wine grows on trees.” The Jewish Agency man did not smile, but now Hillel did, amused by the endless round of arguments with these rascals from Tel Aviv. He had been examining his purple hands casually, and as he spoke he smeared them on his once-white smock, long yellow with age. The smudge was the shape of a swollen heart about to burst its seams. “They come from an area of Bavaria that produces wine,” Goldmann explained, a tincture of annoyance in his tone, as if the act of correcting Hillel Yayin’s assumptions, even when he was right, was still an irritating exercise. “The man is a vintner. Obstmann. Mendel Obstmann. He has a wife and two girls.” Hillel Yayin let his hands fall to his sides. He looked at the Agency man through eyes as narrow as slits. He had tangled with the bureaucracy of the Jewish Agency for so many years that his ears did not believe their own testimony. “There are not, Comrade Yayin!” and here Goldmann raised his voice. His hands shook from thinly veiled rage. His cotton shirt was stained with perspiration. “This is a simple matter. The termination of employment. Here is the form. If you do not carry out the Jewish Agency’s demand, I will come back with a form for your removal…” and Goldmann strode heavily out the door into the blinding light. Every evening except Friday, Hillel Yayin played cards with old man Ibrahim Hasan. They sat on the patio of the Hasan house, composed of the flat, plate-shaped field stones of the coastal plain, and played for cashews and pistachios. The trellised vines, almost ripe with lavender-colored grapes, rolled gently over the undulating hills. In the distance, the sea glimmered like a bowl of light, reflecting the last rays of the sun cast from beneath the low clouds that bordered the horizon in long, bold strokes. Ibrahim Hasan and Hillel Yayin had been friends for nearly thirty years. Yayin had worked as a vintner on the Hasan vineyard during the last days of the Ottoman period, when Kerem Avram was owned by absentee Arab Christian landlords in Beirut. During the Arab riots of 1918, Ibrahim Hasan had hidden his Jewish assistant from an Arab mob, Hillel likening it to Lot barring his door to protect the angels of the Lord from the wicked men of Sodom. Five years after the revolt, the Christian Arabs in Beirut sold the vineyard to the Jewish Agency, when the fertile strip along the coastal plan was much in demand and land prices soared. Jewish kibbutzim and moshavim sprouted along the coastal plain, growing citrus, bananas, and grapes. Under Jewish Agency rule, Hillel Yayin oversaw the Hasan vineyard and worked doggedly to keep the family on for saving his hide in 1918. 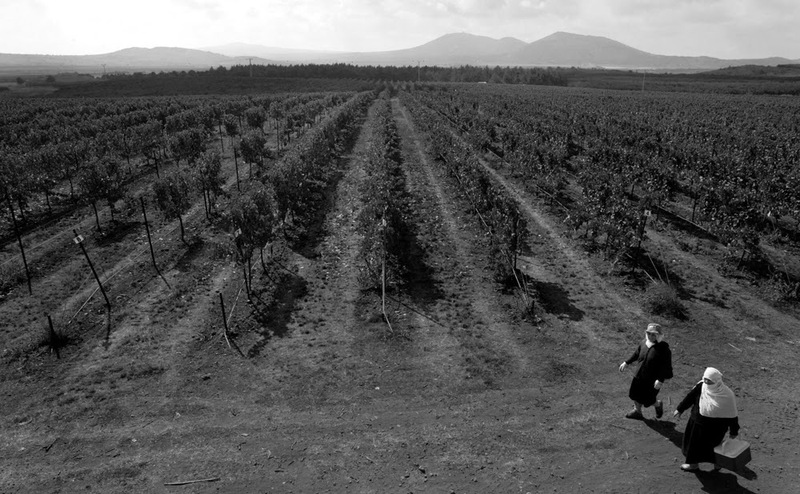 The Jewish agency sent men and women, single and in families, and refugees and wanderers of all sorts, to work the vines at Kerem Avram, but few were qualified, and most drifted away or were forced out by Hillel Yayin’s firm hand. “Trash. Human garbage. The scourge of the Diaspora the Jewish Agency sends me…” Hillel Yayin would rant. 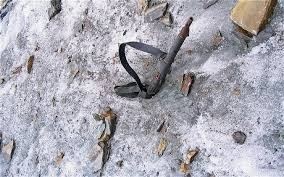 In 1925 two Russian brothers had tried to kill each other with sickles. In 1932 a family from Poland had begun to steal equipment from Kerem Avram and sell it to passing Bedouins. In 1941 a man who had recently owned a clock repair shop in Krakow had died of a heart attack while stomping grapes. Yayin, alone, extracted his dead body from the half-barrel where it had fallen. But still the Jewish Agency sent more Jews. Jewish labor on Jewish land. Hillel kept the Hasan family on because of his blood debt, but also because they were essential to the operation of Kerem Avram. Without them he could not bring in a harvest. But this man from Bavaria -- this vintner -- he seemed a bird of different feathers entirely. All evening long Hillel Yayin kept losing to Ibraham Hasan, until the old man made short and bemused comments, often in the form of Arabic proverbs, which he knew by the barrel full. “News from Russia? What makes you think so?” Yayin answered in Arabic. “No, no,” Yayin waved a hand for emphasis, and while it was out there, it grasped a goblet of wine as dark as blood which Yayin drained to the dregs. He looked out over the land: a crescent moon rose above the Hills of Ephraim. Hillel Yayin walked back to his small shack. He saw the light on in the front office. When he entered, he contemplated the recumbent figure of Nachman Schlafland, unconscious over his ledger, a victim once more of his mysterious ailment. “Nachman, get up, time for sleep!” Hillel Yayin yelled, and seeing that the words did not rouse the man, he lifted him up and carried him to his cot in the corner of the room. But Hillel Yayin could not sleep. He lay in his narrow bed and thought of the Bavarian Jewish vintner, this Mendel Obstmann. He imagined lederhosen and Germanic efficiencies, mixed with the Jewish propensity to treat the Holy Land like some unredeemed clod of earth, no matter that the vines on Kerem Avram had been planted here about three-hundred years ago, in Ottoman times, by growers from Anatolia. When Hillel Yayin did fall asleep, it was nearly dawn. In his dreams, the Arab mob was pounding at the door as they did in 1918. But this time there was no Ibrahim Hasan to play the Lot to his angel of God. Hillel felt the onrush of hot breath and whiff of hatred in his face, as if a gang of avenging demons had swarmed into this little room, breathing fire and brimstone on his face and neck, and he awoke with a start. Through bleary eyes and a befuddled mind, his dream was more real than the world now gazing upon him. His room -- a low shack with a tin roof – was perched on the edge of the vineyard. The leaves of the vines brushed against his one window, and the odor of sweetness was heavy on the air, pungent and seasoned. He opened his door and the first rays of light descended from the Hills of Ephraim to flood the costal plain in amber, autumnal rays. The long shadows of the rows of grape vines appeared to race down to the sea; then a single cloud covered the sun in an instant and it was as if that race to the water had been snuffed out by the hand of God. Hillel sat on a rickety wooden bench outside his shack. The syrupy aroma of grapes mixed with the salt breeze of the sea. Concentrating, Yayin could detect and isolate the smell that was the dusky husk of the grapes’ skin and he could conjure up the taste of the intense sweetness between their inner skins and the must within. From the days when he was a boy in Odessa working on his father’s vineyard, there was hardly a moment when Hillel Yayin was not contemplating the tendril of the vine, the tight cluster of the fruit, the inches of rain and days of sun, the prime and secondary fermentation, or the quality of oak barrels. Yayin had become religious late in life, and wore a long beard and a skull cap. In his youth he had been a socialist, but on the Hasan land, at Kerem Avram, he had latched onto the cycle of the seasons of the coastal plain of the Holy Land, its long hot summers, it short, wet winters, and all this had lulled Yayin into an agrarian religiosity he imagined the Jews after Joshua experienced: sowing and planting, harvesting and threshing, all under the eyes of their tribal God, their sandals caked with dust and robes stained purple from the vintage. He had folded his life with the Hasans’, both when he worked for them and when they worked for him: The land dictated the same discipline from Yayin and Hasan if it was to yield its treasure. This was a life guided by seasons and harvest, grapes and wine, and who was a Jew and who a Muslim left no mark on the land. “Saalam, Adon Hillel,” Hasan’s wife said as she brought a pot of black coffee and some yogurt in a jar to Yayin’s shack. “Saalam alachem,” Yayin responded, but he could not look the old woman in the face. In his pocket was the folded order of their eviction. He had to cast out the family today. He sipped the coffee. Yayin’s stomach turned sour. He spooned some yogurt but it was heavy on his tongue, and he felt his insides flip. Out beyond his line of sight, one of the Hasan boys was starting the tractor. Yayin heard one of its gears slip -- a sound as familiar as the creaking of the floorboards in his tiny shack. The boy would then attach the cart. The grapes would soon be harvested. Down in the valley, where the bananas grew, the Hasans’ cousins -- the Nashbanis -- were already picking their allotment. Yayin could see them on the small pocket of land which used to be a wadi, but was now drained. Their mule and cart, an old man, two bearded youths, and several women, girls and boys, picked grapes without superfluous movements. The Nashbanis had been tenants along with the Hasans in the days when the vineyard was owned by the Arabs in Beirut. When the Jewish Agency purchased the land, they grudgingly agreed to keep the Hasans, but Hillel could not convince them to carry on the Nashbanis. So each year Yayin allowed them to harvest a modest amount of grapes to supplement their living. Yayin thought the arrangement harmless enough. It hardly impacted his yield, and prevented bad blood. But this Goldmann from the Jewish Agency wanted it stopped once and for all: no Arabs were to pick so much as a thistle on Kerem Avram. Hillel Yayin stepped off his porch and strode toward the Hasan house. He would tell the old man, give him time to pack his things and start his new life, avoid a confrontation with this new Jew, this vintner from Bavaria. But hot tears began to stream down Yayin’s face. He brushed them away with his massive hand, but they kept coming from a spigot that would not close. So he turned away from the Hasan house and walked to the front office. Nachman Schlafland had risen, bathed, shaved and dressed for the day, and even sat at the desk to transcribe orders for wine in his ledger, but he had fallen asleep in place, his head sandwiched between the open leaves of the carefully lined book. Hillel Yayin was too tired to wake him. Every day, Hillel Yayin expected a truck from the Jewish Agency to pull into Kerem Avram and unload a family of blond haired children, a slim, attentive wife, and Mendel Obtsmann himself, with round eyeglasses, a clean white smock, close-cropped hair, and viticulture equipment packed in crates with stenciled words upon them in Gothic script. But no truck came to Kerem Avram. The Hasan cousins had already taken their yield and left, and now was the time to harvest the rest of the grapes. At nearly 3,000 dunmans, the work would take at least two weeks, and had to be complete by the beginning of the fall rains. But Hillel Yayin delayed. He could feel the quizzical glances of the Hasan men and women, boys and girls, but they left the old Jew in peace, deferring to his judgment. That night, Hillel took out an old map of Kerem Avram, and puzzled over it for some time, his fingers tracing over the familiar boundaries, and the Turkish words which denoted them. On the far side of the property, beyond the row of banana trees, grew several vines of grapes of inferior quality, which Yayin usually sold to a market in Tel Aviv, as they were not suited for wine. He decided he would give this parcel to the Hasans. The land was marginal, but giving it to them was the only option other than eviction. He would give the Hasans the old shacks among the banana trees and partition Kerem Avram. Then he would try to conceal this from Goldmann and the Jewish Agency for as long as possible. The next day Hillel Yayin decided the harvest could not wait for Goldmann’s German Jew. But when he looked about for the Hasans, he could not find a single one. He searched the wine shack and cellar, the equipment shed and their back garden. Then he walked quickly down the rows of grapes to a small shed where Ibrahim’s eldest son lived with his wife and two boys. The entire Hasan family was crammed into the shack, leaning through the doors and windows, listening to a broadcast on an ancient radio. “What is it?” Hillel Yayin asked in Arabic. Ibrahim Hasan turned to face Yayin. His eyes were wide with unclaimed fear. “The UN has voted in favor of partition,” the old man said the words uncertainly, as if their meaning was unclear. By nightfall armed Arabs had attacked an Igged bus on the Tel-Aviv to Jerusalem road just outside Kerem Avram and killed thirty-two Jews. All night long shots fired up and down the road. A stray bullet hit the tractor, which had been left in the rows of grapes and puntured its gas tank. Hillel Yayin and the Hasans hid in their homes until the shooting had quieted down. At first light a beat up truck sped into Kerem Avram. Two men with rifles jumped down from the cab. One wore mechanic’s coveralls stained with grease. The other wore the demin coat of farm hands on a kibbutz. Hillel Yayin approached them. “You, old man, are you a kohan, a priest?” the man in the coveralls asked. Hillel followed the men to the bed of the truck. There were five uncovered corpses. Yayin recognized Goldmann, the Jewish Agency man. The others were a light skinned man with blond hair, a brown-haired woman, and two small girls. Their bodies had been abused. Hillel Yayin muttered a prayer and turned his face away. “Who are they?” Yayin asked, his voice constricted, as if a tourniquet was being twisted around his neck. The men grunted skeptically and indicated that Yayin should help with the bodies. They were laid out in the equipment shed and covered with oily tarps. When the Haganah men left, Ibrahim Hasan came out of his home weeping. When Yayin saw him, tears flowed down his own face in proportional sympathy. The Hasans began to hastily pack their belongings. “We take not a pin that is not ours, Hillel. Kerem Avram is yours now…” The old man was still crying, but silently. Then the same truck which carried the bodies of Goldmann and the vintner’s family burst through the gate. Several of the young Hasan men sprinted out through the vineyard and toward the bank of banana trees. The Haganah men pursued them. For a moment, the valley was filled with shots, and then silence. Ibrahim and the remaining Hasans were herded into the truck. The man in the greasy overalls examined Hillel Yayin through narrow, critical eyes. “We’ll come back for those bodies…” the man said, and the truck sped away. Hillel ran to the front office. He roused Nachman Schlafland, who had fallen to the floor during one of his spells, and told him he had to flee. There was a war on. The man was dazed, staring at Yayin without comprehension, but on hearing the word war he stuffed clothes in a carpet bag and fled down the road. That night, Hillel Yayin tried to sleep, but his eyes refused to close. Out beyond the door, he thought he heard the sound of overripe grapes falling to the ground in heavy thuds, like the hail which often fell out of the sky in Russia when he was a boy. He listened for some time, trying to fit the noise into the repertoire of vineyard sounds. Then in a flash he realized that people were harvesting the grapes. A full moon hung over the coastal plain, lighting pale figures picking the fruits. Hillel Yayin could see it was not the Hasans: he knew their shapes and forms, even in the half-light of the moon. He walked closer. Some were the Nashbanis, but most were men and women he had never seen before. “What are you doing?” Hillel asked in Arabic. There was a noise, and then the world slowed down for Yayin, fell silent and black. When he awoke in the morning between the rows of denuded grape vines, he realized he had been struck by the broadside of the ploughshare which lay beside him. The Arabs were finishing their work in the dim morning light, loading grapes onto wagons pulled by mules and trucks. Hillel went back to his hut and bandaged his head, which continued to bleed, and sat heavily on his porch step. His wine shack had been picked clean of equipment. Bottles and barrels of wine had been carted away, and everything in his shack except for his bed had been stolen. Somewhere in the distance, a shot rang out. A dog barked down by the coast, and another dog, somewhere in the Hills of Ephraim, answered back. There was a great rumble of shaking earth, and once again the Haganah truck was in Kerem Avram. A dozen armed men jumped out the back of the flatbed, shooting at the squatters. One or two fired back. The mechanic with the greasy overalls brandished a pistol at Hillel. But Hillel Yayin did not move, so the mechanic, still brandishing his pistol, picked him up by his armpits, and muttering curses, dragged the old vintner to the threshold of Kerem Avram and dumped him onto the road. Hillel Yayin began to slowly walk up the incline toward Tel Aviv. At the summit of the hill, he thought of Lot’s wife and knew he should not look back, but after thirty years among the vines, he succumbed and looked down on Kerem Avram. The Haganah men had subdued the squatters. Several lay dead or dying. They had overturned the carts of grapes, which lay in moldering heaps. Many vines had been trampled or uprooted in the fighting. The Hasan house had somehow caught fire, and billowing black smoke curled up into the dusky blue sky. Hillel continued to walk toward Tel Aviv. Soon, on the side of the road, he saw a recumbent figure. Coming closer, he saw it was Nachman Schlafland. The man had succumbed to his illness and collapsed in a heap next to a clump of thistle. Hillel gently nudged him with his foot. When the clerk did not budge, Hillel Yayin became enraged. He began to kick the man in the ribs repeatedly and only stopped when his foot grew sore. Schlafland continued to sleep. So Hillel Yayin sat next to the still body, his breath regular with the rhythm of yawning slumber, and waited for him to awaken. 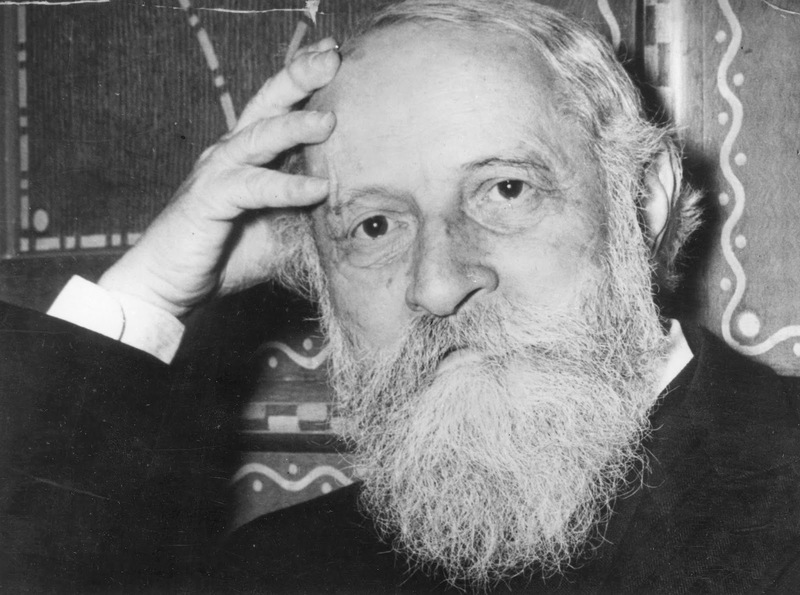 Martin Buber has not fared well in the world of religious Judaism. He took on the mantle of existentialism after the Second World War, with his classic book I and Thou, which made its mark, but appeared to repudiate his commitment to Judaism as a set of precepts, or mitzvoth, to be followed. Generally, as in most of his book, a careful reading is in order, and even then, much will escape even the greatest of care. Buber’s main problem is he tries to present a mainly anti-intellectual religious movement or trend in an intellectual framework. This works to a degree, but much is missing. To find out about Hasidism, it is best to go to the original written sources. Or go find a good, genuine Hasid and watch him (or her!) in action.